Kids holiday classes are sold in pairs (per week) so that all projects started are completed across the 2 days. So there is a session on 2 days (usually (Tuesday AND Thursday) 10:15am-12:15pm (or 12:30-2:30) sold together. Debbie's board Holiday sewing classes - Aged 9yrs plus on Pinterest. Students must be older than 9 years. 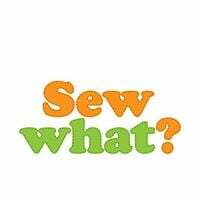 Email queries to debbie | sewwhatcafe ! com or call 07946 826 338.